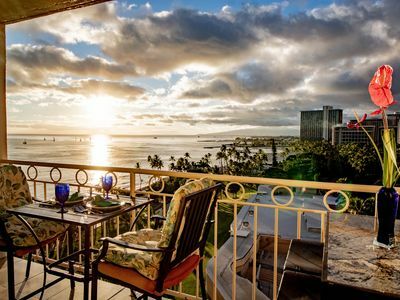 Located 3 walking blocks from world famous Waikiki Beach and the iconic landmark's of Duke Kahanamoku Statue, the Moana Surfrider and our 'Pink Palace' the Royal Hawaiian Hotel. 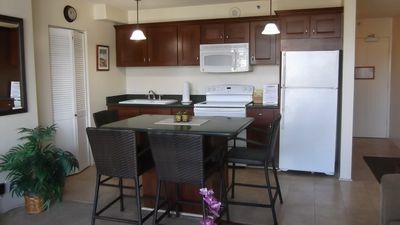 We offer one of the largest Apts. 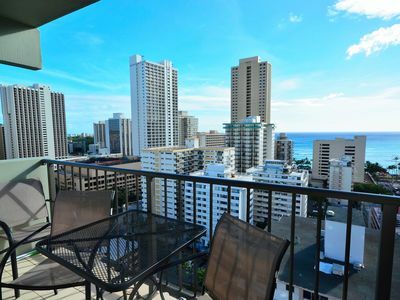 right in the Heart of Waikiki as well as a secure building with a key access only elevator. 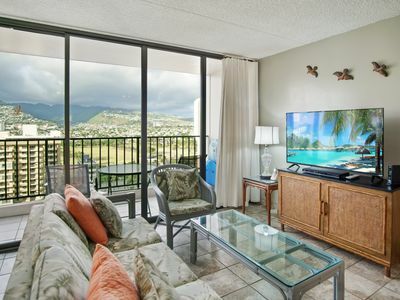 Each unit includes: Wifi, Basic Cable and an On-Site Office for easy Check-in and Check-Out, all creating a care-free Hale in Paradise! 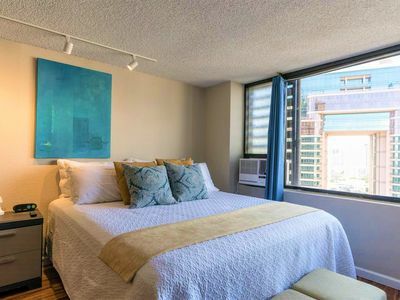 Representative Studio Apt. 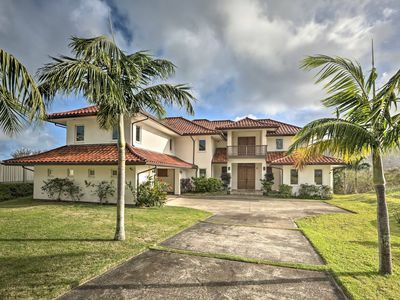 pictures are up to date and will give you a peek into Paradise. 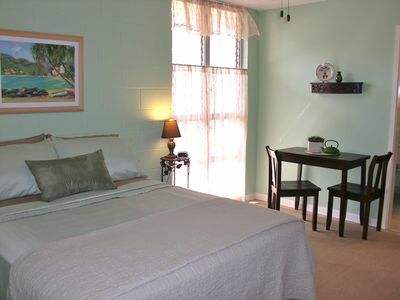 Each Apartment is individually decorated with their own themes. 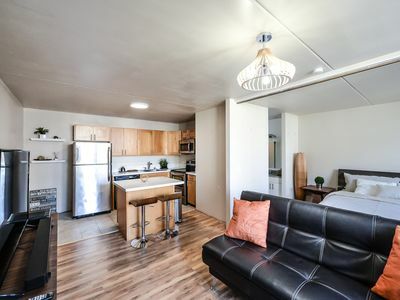 Our large open floor plan is fabulous featuring a sitting/dining area combo. 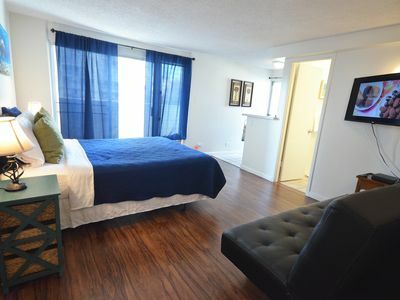 All Studio Apts. 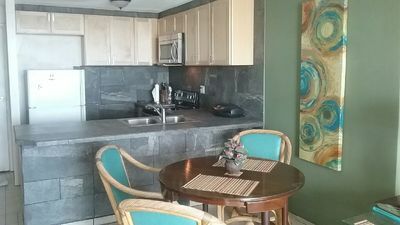 have a fully furnished kitchenette for cooking, including: refrigerator, hot plates, microwave, toaster oven and coffee maker. Also provided are pots/pans, plates, dishes, utensils and glassware. 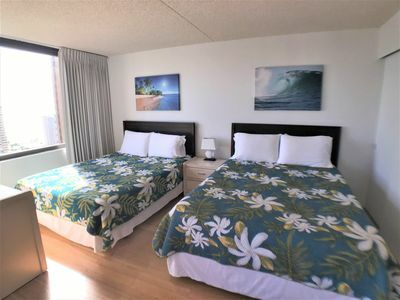 Parking is onsite and based on availability. Parking is not included in your quote. 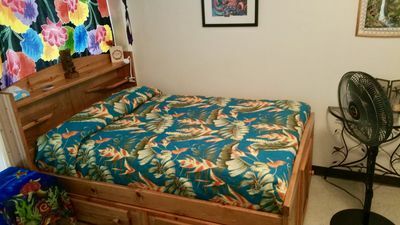 We offer the best rate in town at less then $10 per day. Please let us know in advance if you are in need of parking. 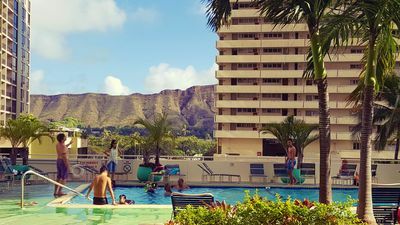 We offer extended Check out, stay in your room until 12:00PM the day of departure,. 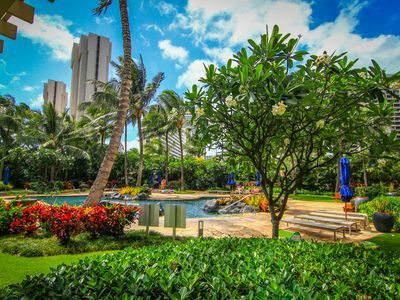 Sleep in late, have one last morning swim in our turquoise waters before you leave. 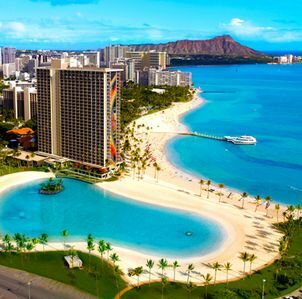 Check-in at 3:00pm and Check Out at 12:00 Noon. 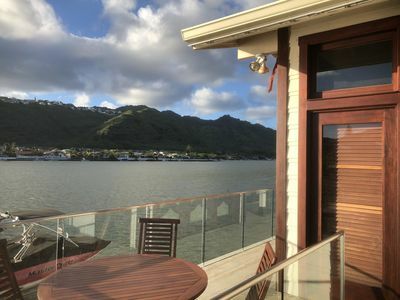 In the Islands we say 'No Worries' when giving Aloha is easy, so If your check-in time is expected to be after 5pm or on the weekend, No Worries, we will have instructions for checking into your Hale using our convenient Lock-box system to access your keys. 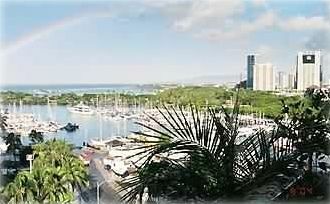 Modern, New King Bed, Luxury, Spacious Waikiki Condo with Beautiful View! 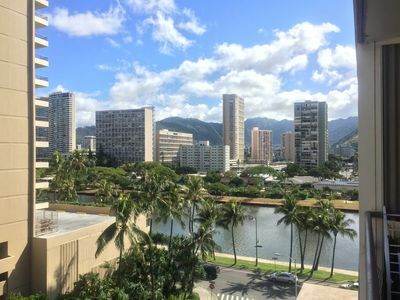 Executive Centre In the Heart of Down Town Honolulu. 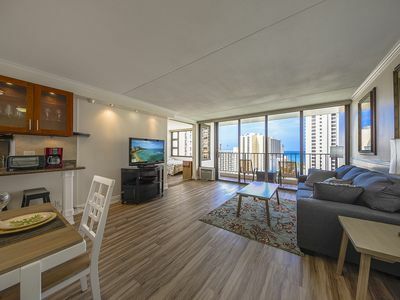 Darmic Waikiki Banyan: Deluxe - Mountain View | 19th floor | 1 bdrm | FREE wifi and parking | AC | Quality amenities |Only 5 mins walk to the beach! 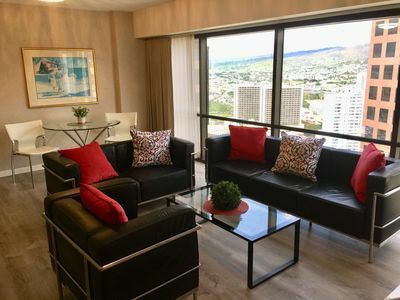 Clean Studio Apt in Waikiki ~ 2 Comfy Beds ~ Close to the Beach!